In the last few months, Recom Ice Systems has achieved some meaningful milestones in our business growth. Among others, we delivered two SL-100 slurry ice machine to FoodPartners Patagonia in Argentina, an organization focusing on the development and implementation of Quality Management and Food Safety Systems. 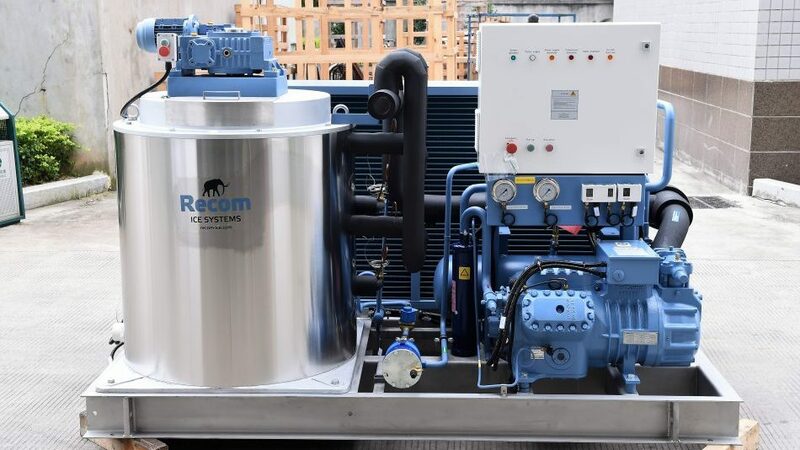 Also, Recom Ice Systems has sent five F50AT-5 flake ice machines to VeroBlue Farms in the United States, one of the largest onshore, indoor production of the Barramundi fish in North America. VeroBlue Farms is an exclusive global proprietor of several aquaculture technologies, under the banner of Opposing Flows Technology and we are looking forward to add our technology to their operations.